So very very happy for Lauren Blakely! 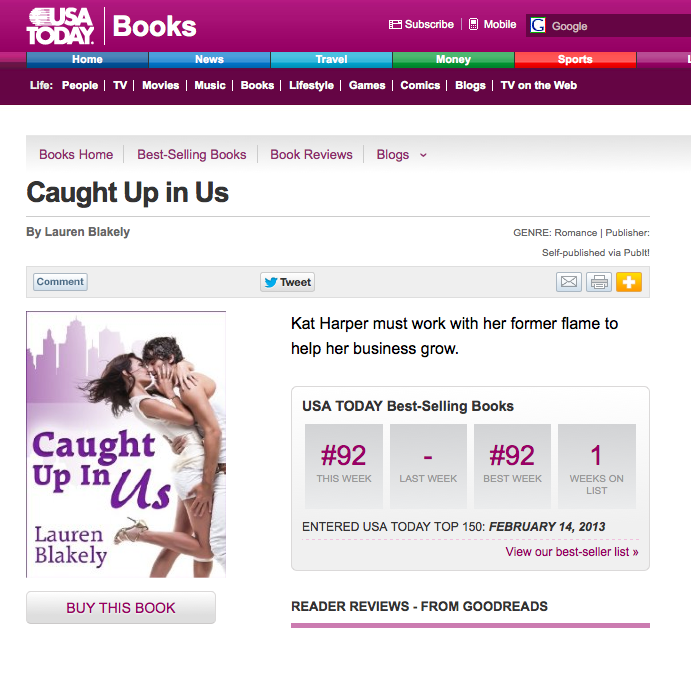 Her book “Caught Up In Us” just entered USA Today’s Best-Selling Books at #92 for the week of February 14, 2013!!! Next postBusy pre-Spring time for me!